Home > Blog > News > Using video in your content marketing is vital in 2018. Here’s 5 reasons why. Here at Hyperfine, we work closely with marketing companies on a regular basis and its clear that, as content marketing becomes more and more important (in fact GDPR will make it vital), so is using video as a modern, online communication tool. YouTube has been the no 2 search engine (behind Google) for a while now but, incredibly, it looks like its catching up. If you don’t have video content, you’re missing out. Still not convinced? Check out these 5 reasons why you should reconsider. 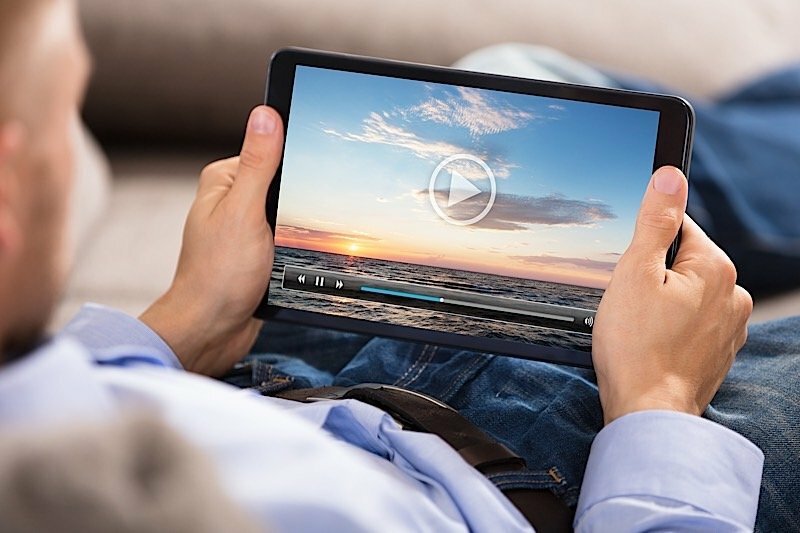 If you have a video on a web page, 70% of visitors will watch the video over the text. And of that number, 65% will watch more than ¾ of the video – compared to text that many will give up on or skim without digesting the full message. Moreover, it is far more likely to be shared on social media than text alone – a great way of attracting new visitors to your website as well as growing your brand. A scroll down your Facebook feed will corroborate this as it will undoubtedly full of videos. Google loves video. In fact to paraphrase Victor Kiam of Remington, they like it so much they bought the company. YouTube that is. Recent studies have found that videos were more than fifty times more likely to make page one of Google as part of its blended results. Then there’s the video only results plus Google. Thats a lot of potential traffic. There’s a good reason more people are watching videos online these days. Broadband speeds, 4G, better phone screens etc make it a much more engaging experience. And because of this, content platforms are being made more and more video-oriented. Look at Facebook and how it auto-plays videos. This makes digesting content via video much more appealing and, with the busy lives people lead, its easier to sit and watch a video on your phone while having lunch than read something. Adding a video to your email has been proven to double the click-through rate. With the advent of GDPR meaning those email addresses are valuable, you want to be making your email campaigns count. Don’t waste that data! Video can evoke emotions in the viewer in a way written content cannot hope to. Facial expressions, supporting music and the tension you can build in a moving picture over other forms of content adds a whole other dimension to your content’s delivery, making it more memorable. You don’t have to be remaking Watership Down to tweak the senses – a spoken piece to camera can connect in a way thats much closer to a face to face encounter than any other method. It also means that people see the real you and website visitors appreciate those who don’t hide behind words and, in fact, they are more likely to feel comfortable about engaging your services.